I think corn might be my favorite vegetable, EVER! So sweet, so versatile, and always a crowd pleaser. Maybe it’s because I’m a Jersey girl, we’ve got some of the best corn in the country! 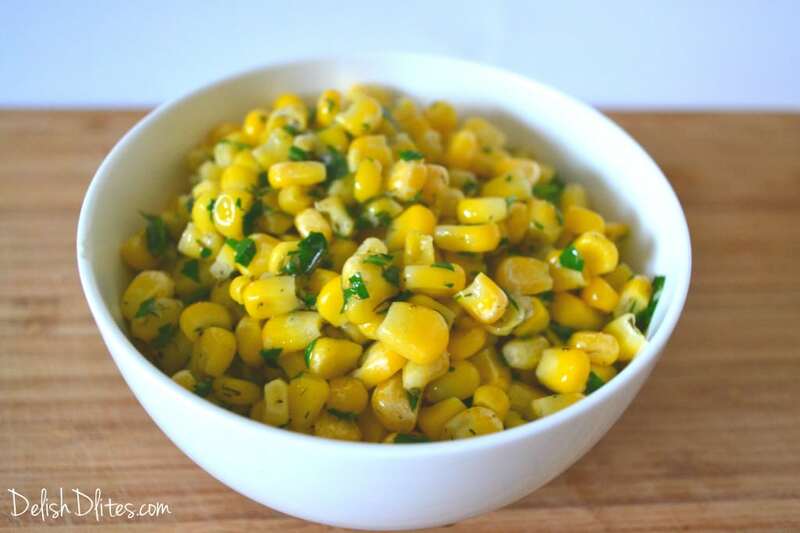 This buttery corn recipe is the perfect side dish for a weeknight meal, or a holiday spread. 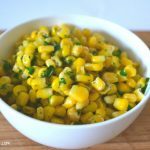 I cook up frozen corn kernels with some butter, garlic, dill and parsley for a deliciously simple recipe that tastes so much more complicated than it is to put together! Lots of flavor without a lot of effort? That’s my kind of dish. Melt the butter in a saucepan on medium heat. 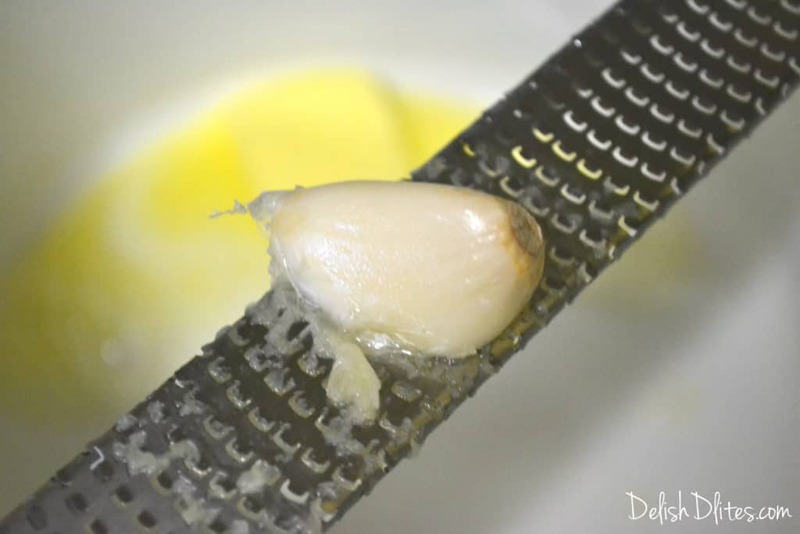 When the butter is melted, grate in the garlic clove with a microplane into the butter. Cook the garlic for 30 seconds, until fragrant. Add the corn and dill into the garlic butter. Season with salt and pepper. Cook for 5-7 minutes, until the corn is heated through. 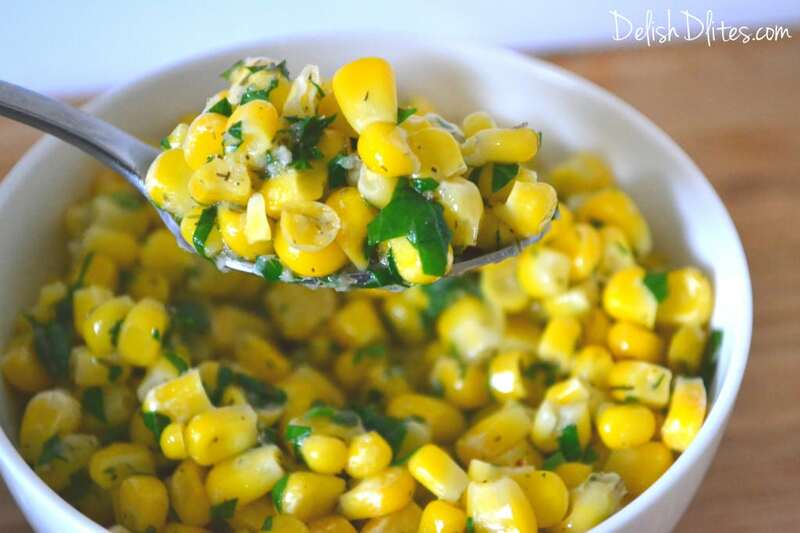 When the corn is done, stir in the chopped fresh parsley. Feel free to stir in a bit more butter if you’re feeling particularly scandalous. My advice…make extra. 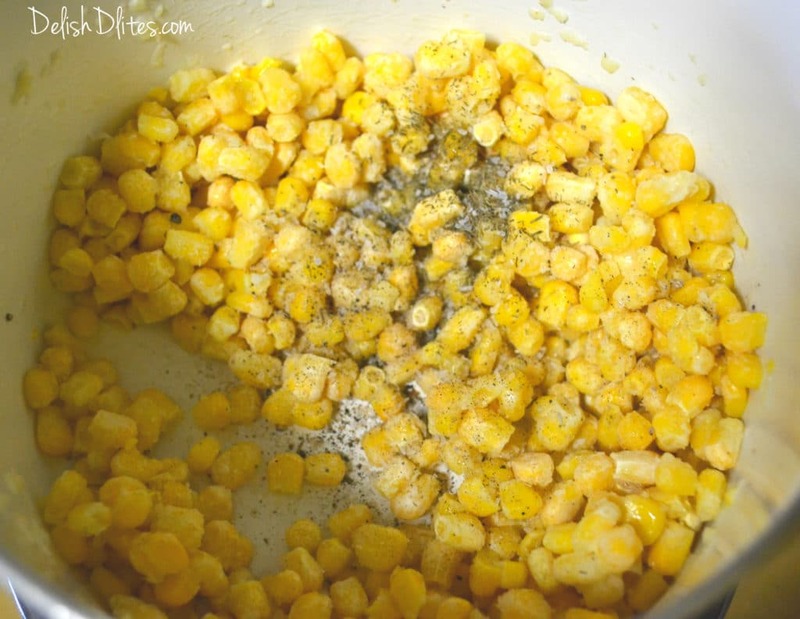 There’s never enough of this buttery, sweet, delicious corn in my house. Melt the butter in a saucepan on medium heat. When the butter is melted, grate in the garlic clove with a microplane into the butter. Cook the garlic for 30 seconds, until fragrant. Cook for 5-7 minutes, until the corn is heated through. 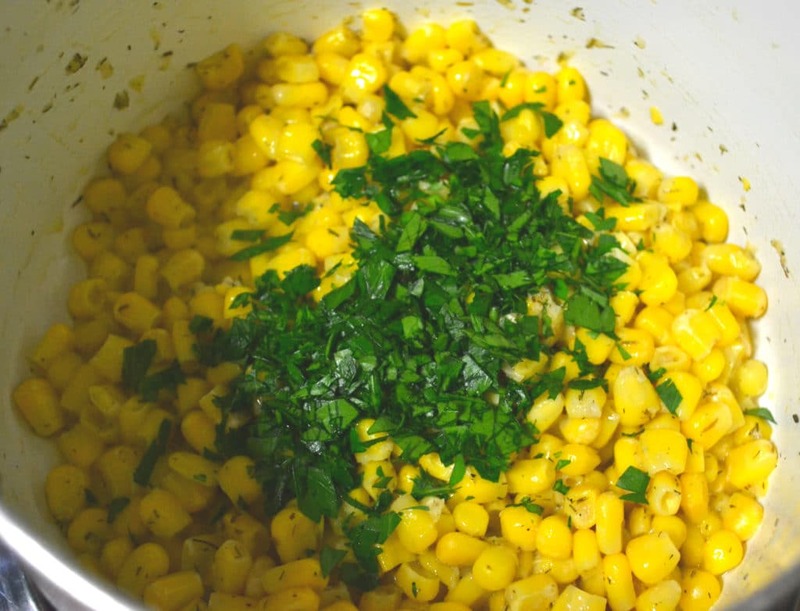 When the corn is done, stir in the chopped fresh parsley. Add more butter at the end, if desired.